For crispy pooris add 2 table spoons of rice powder or sooji to 2 cups of wheat flour before kneading. * Remember the dough should be stiff for crispy pooris. * If you want to prepare pooris in advance at 1 to 11\2 hrs before, roll the pooris and place between a well-rinsed wet muslin cloth. You can fry just before serving. * You can also add a tea spoon of carom seeds (Ajwain) to the poori dough for more taste, and quick digestion. * For soft chapatti dough add little milk while kneading. * To make samosas crisper add some corn flour to the Maida and knead the dough. 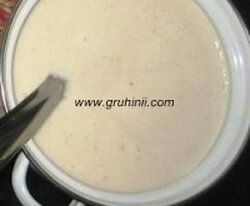 For Roasted crispy dosa’s add a tea spoon of sugar to 1 large cup of dosa dough before making. * To store idly batter or Dosa batter for 2 to 3 days in a refrigerator without turning sour, do not add salt to the dough and keep it in a air tight container. Remove 3 to 4 hours before from the fridge and add salt before using. * Add 1 to 2 table spoons of rice flour to bajji or pakoras batter for crispiness. ​Add sufficient maida and rice flour to left over onion raitha and make a smooth batter. You can make crispy bajjis with it. 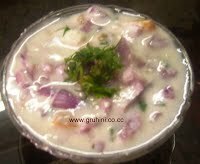 * If curds have become too sour add a glass of water to the curd leave for 5 to 10 mins. Drain the water slowly, add some milk and refrigerate. Add 1 tea spoon of milk or few drops of lemon juice to the boiling sugar syrup. The dirt and impurities collects on the surface and can be removed easily.